This involved them watching a video of a number of incidents filmed on campus for a couple of minutes. They were then given a question sheet to see how much they could remember. The winner was the person with the most correct answers. Jessie Deschamps was our star witness and the most observant competitor. 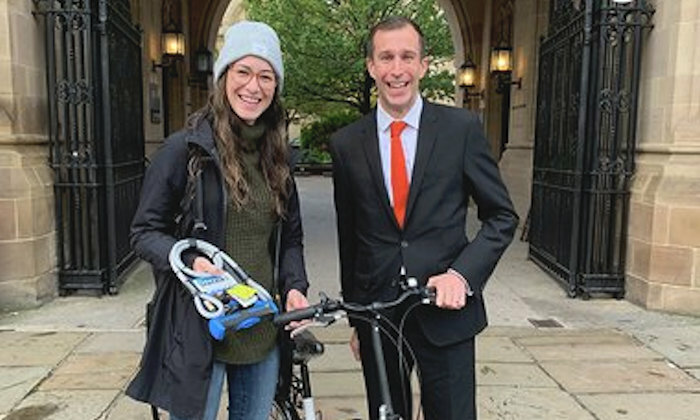 Pictured: Jessie collecting her prize, a bike and a gold standard D lock, from Director for the Student Experience Simon Merrywest.